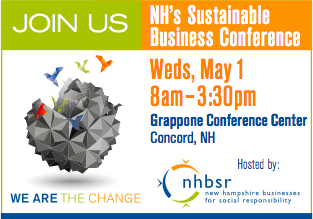 Ask business leaders in New Hampshire who are integrating social responsibility initiatives into their company and you'll get such answers as: "It's important to my investors and customers." or, "It affects my employee recruitment and retention, and impacts our corporation reputation." Social responsibility in business is not a trendy concept, but increasingly an integral part of how companies are doing business.